Getting the job done, every time, on time. 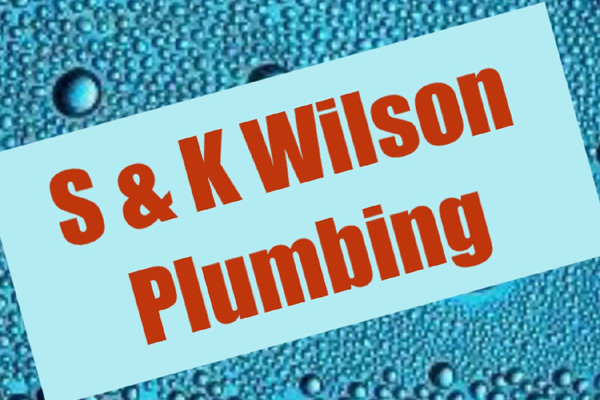 S & K Wilson Plumbing - CALL US NOW! With Over 30 years industry experience in serving Goulburn and the surrounding Districts. We’re the plumbers you can trust! 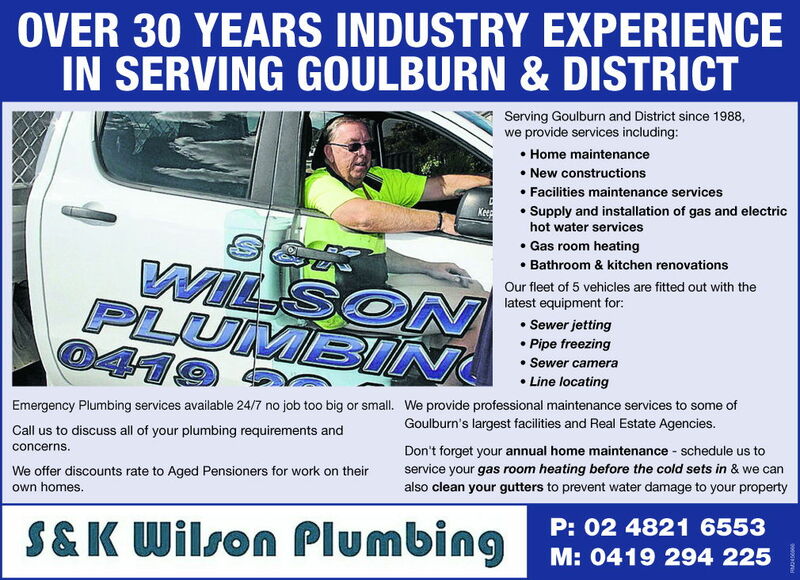 For over 30 years S & K Wilson Plumbing has been servicing the Goulburn disctrict. Living locally means that our team of professional plumbers can provide a prompt service to you at all times, day and night. Whether you are experiencing an unexpected flood or are planning ahead for a renovation and need a quote, we are always available to provide the best possible customer service. We work hand in hand with our customers to achieve the best possible outcome to ensure complete customer satisfaction. We are dedicated to building dynamic partnerships with clients and contractors to deliver outstanding outcomes. By fostering solid relationships with all our customers it ensures we can meet your needs and coordinate even the largest of projects effectively. I had a leaking gas valve and Shane from S&K Wilson Plumbing was really helpful for me fixing my caravan. I would definitely recommend him. When building our new home we relied on S & K Wilson Plumbing to get the job done and we couldn’t have been happier. On time every time, professional work and a great bunch of guys. Highly recommended! I was more than pleased with the service I received from S & K Wilson Plumbing and would be happy to recommend them to anyone requiring a plumber. A functional, well maintained home plumbing system is essential to the running of your home or business. Water is essential for drinking, cooking, showering and washing clothes and it’s not until something goes wrong that we realize just how much we depend upon the integrity of our plumbing systems. When plumbing problems strike, S & K Wilson Plumbing are ready to assist. Our working philosophy is simple, prompt, friendly and reliable work at an honest price. All of our work comes with a customer satisfaction guarantee while committing to provide our customers with an honest, friendly and reliable service. With more than 30 years in the business, we pride ourselves on outstanding customer service. From new plumbing installations and system replacements to routine plumbing maintenance and emergency repairs, we do it all. If you suspect a leak, our state-of-the-art detection technology will find it and if you want your pipes cleaned and flushed, we’ll be able to help out. Call us at 0419 294 225 or 02 4821 6553 to get us on the job.